Legacy, Other CD & Sound Bank from Le Lotus Bleu. 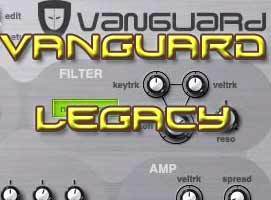 Le Lotus Bleu has announced the release of Legacy, a new soundbank for reFX's Vanguard synthesizer that offers 128 "Classic presets" - "the kind of instruments you should expect to be present in every Synthesizer core library", according to LLB. LLB explains: "Peter Schelfhout classic Sound Design brings the concept of bread and butter instruments one step beyond: Each of his 128 instruments evokes a precise era or one famous instrument, from analog dinosaurs to last decade modern units. The whole library proposes a charming journey across the synth history, with 100% useful and precise instruments, and a unique Vanguard's touch added." The instruments in this collection focus mainly on the following Music Styles: Dance, IDM, SynthPop, Electronica, Trance, Song Writing - All Electronic Music Styles. 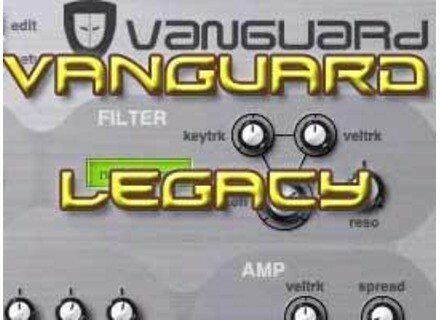 They make extensive use of Vanguard's filters and real-time modulations abilities. All instruments are carefully organised in one bank with naming conventions. The bank costs €14.90 but can be purchased for the introductory price of €7.48 until September 28th, 2009. Native Instruments To Update Maschine to v1.1 Native Instruments has announced update 1.1. for Maschine, their groove production studio. Outsim Updates SynthMaker Outsim has announced the release of SynthMaker v1.1.3. Prominy LPC Electric Guitar LE LPC Electric Guitar LE is a lite version of LPC Electric Clean Guitar.